Is language power itself, or a tool used by power? The performance IMPORT EXPORT is an in-put/out-put system dealing with this question. 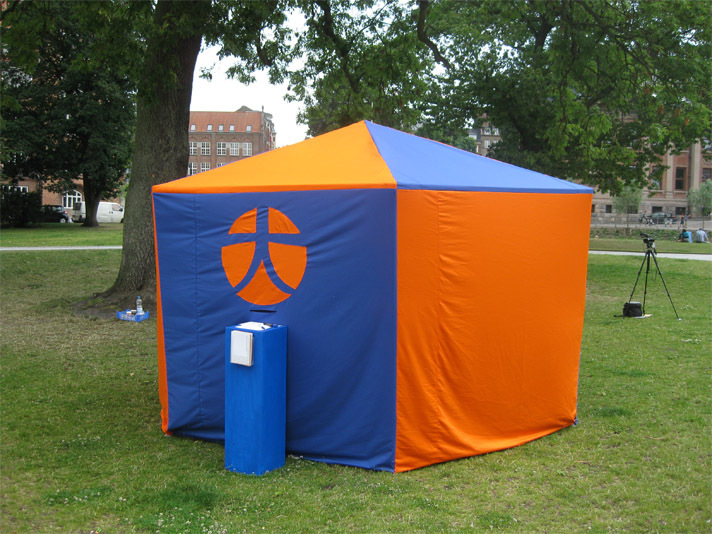 The audience interacts through putting danish words into a tent and receiving answers from GLOBALALIEN in different forms. Sat 18. – Sun 19. 7. 09 Exhibition, Gallery Rum46, opening hours: 12 – 17 p.m.